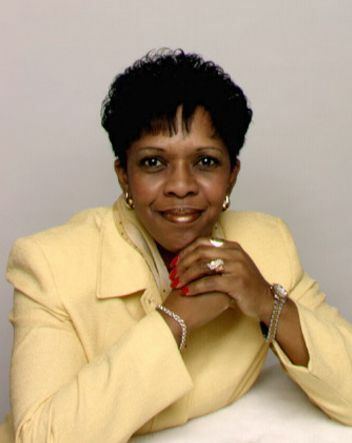 Betty Jo Duncan is an anointed wife, mother, minister and entrepreneur. She is a native of Greenwood, South Carolina, and was born again in 1981 and licensed to preached in 1983. She was ordained through Rhema Bible Training Center in 2004, and has been preaching the Gospel for over 26 years. She has ministered in conferences in South Carolina, Georgia, Florida, California, tent meetings, crusades, revivals, Women's Aglow meetings and various churches. In 1983, she attended Billy Graham's school of evangelism in Orlando, Florida. In 1984 she was united in matrimony to John A. Duncan and through the leading of the Holy Spirit in 1992 she, her husband and their three children relocated from Greenwood, South Carolina to Broken Arrow, Oklahoma to attend Rhema Bible Training Center and graduated in 1994. Then in 1995, the Lord led them to Greenville, South Carolina to reside,and in 1996 pioneered the church they are currently pastoring: Rivers of Life Family Church International. In 2003, Pastors, John and Betty Jo Duncan launched "Firestarters Worldwide Outreach Ministries" (FWOM) for the purpose of starting revival fires, stirring up and making demands on the gifts within the body of Christ, and to preach the gospel to every creature. She is the president and founder of Women of Wisdom, a multi-cultural organization that hosts conferences, seminars, empowerment meetings locally and nationally. In 2009 she was recognized and received The Women of Excellence Award of the Church and Community of the Upstate in Greenville,SC. Devoted to the vision of the ministry, she assists her husband with a variety of duties to assure that the mandate that God has given him is carried out. Pastor Betty has a burning desire to see lives changed, charged and challenged through the preaching, teaching, and demonstration of God's word by going out into the highways and byways and reaching the lost at any cost that the Father's house may be filled.